Welcome to this week's episode of psyamb. This week's episode returns to more bass driven psychedelic ambient tunes. One tune I would like to bring to your attention is "psychocybine" by Swen (Dzoncy) strOOp. I don't know much about this guy but I hope he gets a bit more exposure as he definitely deserves it. You can find a few sites on the net pointing to samples of his tunes. I recommend either his myspace page or his lastfm site. Also check out Max Maxwell's music if you get a chance. Originally one third of Matipo Pyramid (a New Zealand trance group), Max has been making tunes on his own now for 10 years. Not all of his music fits into the psychedelic ambient bucket but there are few really tasty ones that can slot nicely into a set. One more tune I would like to point out is the closing track by "A Small , Good Thing" . This is from their album "Slim Westerns 1 & 2" which I picked up years ago and has been a constant companion for me ever since. It plays as a kind of ambient soundtrack to a spaghetti western movie. Great stuff ! I often use tracks like this to close sets or mix between tracks. Click on the photo of the band (left) to find out more. As always, thanks for listening and your kind support. Peace to you all. It reached 35 degrees in town today so I'm in a very summery ambient dub mood. This is somewhat of a light dub mix but I hope you all enjoy it just the same. One artist of note featured in the mix is Vibrasphere. I'm sure quite a few listeners will know all about Vibrasphere but for the uninitiated here is a brief introduction to one of the world's most amazing electronic groups. Hailing from the Sweden, Vibrasphere comprise of Richard Berglof and Robert Elster and have produced a considerable body of work since the band's'inception around 10 years ago. 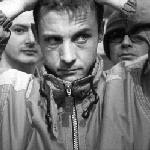 Their early releases were mostly on labels like Spiral Tracks and Digital Structures where they helped pave the way for the Swedish progressive trance scene to become so popular around the world at that time. In between producing their hypnotic progressive stompers they dabble in the occasional ambient tune with a few ambient tracks being released here and there on their own albums as was as compilations from around the globe. Their ambient sound is best described as lush and atmospheric and has a crossover appeal to lovers of spacey ambient and those who prefer dub or even more worldly ethno sounds. I won't go too much into their more club oriented work here but the lads are pumping out amazing tunes at the moment which has seen them become firm favorites for leading club DJs like Oakenfold,Van Dyke and John 00 Fleming. Personally I can't get into those DJ's at all so I can only assume their tastes are finally starting to improve ! I highly recommend their two recent ambient compilation releases called "Selected DownBeats" 1 and 2 . These two albums are kind of greatest ambient hits compilations of Vibasphere's downbeat work and is bloody fantastic if you ask me. New psybient mix ready for download. Some amazing tracks in this week's mix. Welcome back to you weekly visitors and a hearty welcome to anyone stumbling across this site for the first time. Today I would like to share with you the story of Koan , a group that has really grabbed my attention of late. You may have heard some of their tracks on the excellent Floating Point compilation series from the Iboga Records sub label, Sofa Beats. Koan is a Moscow based duo comprising of Daniel Roeth and William Grey. Daniel works as the main man within the group and has a diverse musical portfolio which includes writing music for video games and Russian documentaries. William Grey came to electronic music production through a familiar route for many synth and pc based producers. He programmed Atari ,Commodore-64 and PC based tracker modules as well as participating in the European demo scene . As a past C64 fan myself, I felt an instant bond to Koan upon reading that ! Specialising in the multi-format computer and sampler based music, William is currently art director and executive producer of the group. Koan , or maybe well 'ard Russian bouncers ? Roeth & Grey began working together in 1993. Three distinct projects were born after they divided their studio space responsibilities: Koan (ethno-chillout / ambient), Vacuum Stalkers (progressive trance) and Fatum Sci-Fi (noise experimental and IDM). Koan is probably the most well known and successful Roeth & Grey project. He is one of the leaders of the Russian psybient-scene, widely known abroad for his swirling psybient productions. What I find wonderful about Koan is that their psybient music is so well polished and structured. It really is faultless chillout music that any fan of psychedelic ambient music could readily get into. Let's hope they continue to produce the goods. Check out their CD from 2006 titled "Two Moon Butterflies" for some seriously good psychedelic ambient chillout. Today's ambient mix is a bit of an eclectic affair in the psybient realm with plenty of deep diving basslines and inner ear pleasing psychedelic trance ambient soundscapes. Featured within this mix are some older tracks from the the guys at Twisted Records such as Shpongle , Younger Brother and Ott . Be sure to check them out as they really are awesome artists when it comes to ambient techno music. 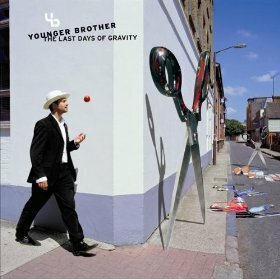 If you are fan of Pink Flyod you might want to check out the latest Younger Brother album , Last Days of Gravity . Released in October of 2007 it quickly became known as a true masterpeice of ambient trance mixed with traditional guitars and percussion. The album became the 20th album of the year in 2008 UK mercury prize (UK music Oscars) and missed nomination by only eight places. A new album is in the works for release this year, perhaps ?